Egypt’s Petroleum Ministry is to sign a memorandum of understanding (MoU) with American Chamber of Commerce in Egypt, whereby the latter, through its Career Development Centre (CDC), will implement a Change Management Programme to develop the capacities of the ministry’s executives. This comes on the margins of Egypt Petroleum Show (EGYPS 2019). The ministry is undertaking major efforts to modernise petroleum sector to achieve Egypt’s vision of becoming the region’s energy hub. One of the main pillars of the modernisation programme is the development of human capacities and equipping leaders and executives with the necessary skills to lead the efforts of the Ministry in accordance to its vision. the business community, at large. Additionally, AmCham Committees spearhead advocacy efforts for a favorable business environment in Egypt, and provide a forum for members to identify, discuss, and pursue common interests regarding their sector and businesses. adoption of measures that facilitate investment and for the development of human resource capacities within this vital sector for Egypt’s economy. 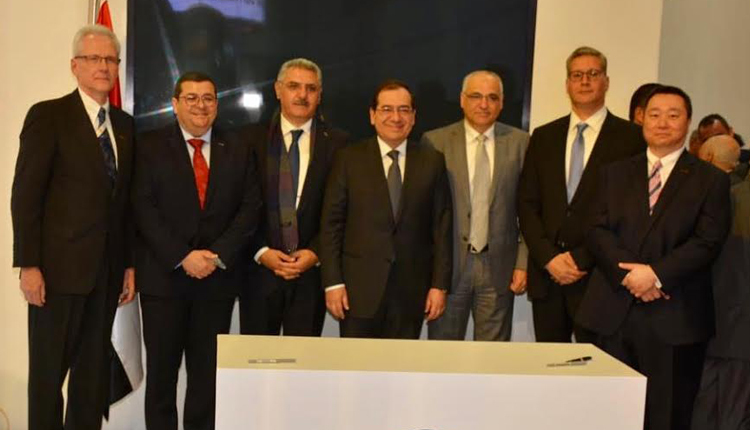 According to the MoU, which shall be witnessed Petroleum Minister Tarek el-Molla and AmCham Egypt’s Executive Vice President, Ahmed Abou Ali, AmCham shall provide a ‘Change Management’ training program, designed to target 50 executives, to be nominated by the Ministry. The Programme’s first phase, which will take place over the period of 10 weeks, shall lead the executives through an eye-opening journey in the domains of innovation, change management, strategy, and leadership. Modules of the Program,e shall cover; Business Models and Innovation, Influencing Skills, Team Empowerment, Coaching for Optimal Performance, How to Lead Change and Strategy Formulation and Execution. Established in 1982, AmCham Egypt is one of the largest and most active overseas affiliates of U.S. Chamber of Commerce, connecting more than 1,900 business leaders representing U.S. firms operating in Egypt, Egyptian firms engaged in trade, commerce, and investment with United States and multinational firms doing business in Egypt. AmCham serves its members by advocating on their behalf for a favorable business environment, promoting trade and investment and fostering a socially responsible business environment. AmCham produces a wide variety of training programmes, research publications and offers numerous and business services to its members as well as to the business community at large. AmCham is a founding member and the permanent secretariat of the AmCham MENA Regional Council.